Yup, that's right. Somehow we've managed to survive the week this long, which can be a victory all on it's own... phew. Boy, do I have something to lift your mid-week spirits. Great blogs. Well I have to introduce you to some fabulous ladies. They are funny, charming, inspirational, and entertaining... and they also happen to be my lovely sponsors. These ladies are active in the blog community, offer so many fun/different perspectives, and will knock your socks off. These blogs are definitely a must follow! 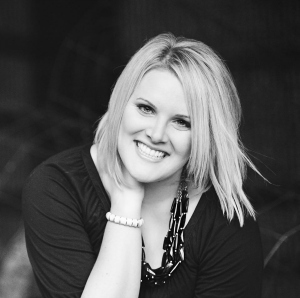 Katie's blog is insanely inspirational, and the fact that she's a life change coach is amazing! "My blog is going to get right to the heart of what you need to do to make your life great. I focus on increased happiness through small daily changes. It's eye-opening stuff." What are your current top 5 obsessions? Craft beer, Downton Abbey, Pinterest, My new business! Miss Lara Ellen is a soon-to-be bride with a zest for life and a refreshingly optimistic outlook! "I'm real, down to earth, and talk about things that everyone faces as some point in life. I am an open book and let people inside of my life even if they don't know me personally. My goal is to touch someone's heart and change their life with positivity!" If you had an all-expenses paid 2 week vacay, where would you go? I have always dreamed of going to Australia. The thought of a 16 hour flight does not sound fun but if it was paid for DONE DEAL! Leslie is a woman on a mission... to lose 100 lbs! She's already lost 40+, and she offers awesome inspiration for healthy living to the rest of us! "I think everyone can get something out of my posts. I write about my journey to lose 100+ pounds and all that goes along with that. I also talk about writing, my love for people, God, foster care, and the life I share with my husband." What does your perfect Saturday consist of? Sleeping in past 7am. Eating breakfast out. Shopping at Target. Eating lunch out. Cuddling on the couch and catching up on the DVR. Having a low-key dinner in (or having sushi delivered!). And drinking wine. Joelle is a wedding planner by trade and a renaissance woman in blog design and being awesome. "I love being inspired by blogs and other creative women, so I strive to inspire my readers in the same way. I love pretty things, and I love sharing my somewhat charming life with everyone." Is wine considered a food? If not, then bacon. Because really...who doesn't say bacon? Casey has a knack for sarcasm and storytelling, and everything is viewed through the humor lens! Not to mention, her adorable poodle, Chuy, makes lots of appearances! She is full of impeccable style and sass - two things I can't get enough of! "I love oatmeal cookies. Want a pin min. I'm becoming a world traveler. Obsessed with personalization. Home really is where my heart is. J’adore Paris. Downsizing in more ways than one. Never met a handbag I didn’t like!" A million thank yous to these sweet ladies! I am so honored that you continue to choose to sponsor Life of Meg and I'm very happy to get the word out about your fabulous blogs! Looking for a way to give your blog a boost? Check out my sponsor page for affordable quality exposure... and they start at $8. Hope your day is off to a great start!! I can't wait to check out all of the other sponsors! Thanks for putting this together, Meg! I love to check out new blogs! Thanks for showcasing your sponsors so we can get to know them better! Happy Wednesday! Aw. I love how you broadcast other blogs. I'm thinking up I'm going to sponser you next month. Thanks for doing the valentines swap. Jess and I both got our gifts sent and recieved from each other. It's going to be green with fun!